This sweet tempered giant requires foods that are suitable for their larger mouth size and their increased physiological needs. This large breed has a specific nutritional anomaly that you need to be aware of. So what's the best dog food for Newfoundlands? We've done a good bit of research on their nutritional needs and here are our findings. Newfoundland dogs are gentle giants that date back to Newfoundland, Canada in the 1700s. They have a long history as a working breed, first as fishing dogs and later as retrieving dogs, guard dogs, and pack dogs. Their beginnings as sturdy dogs working by the Atlantic Ocean is where this breed gets their love of water! While some dog breeds have some webbing between their toes to help them swim, the Newfoundland dog has toes that are completely webbed. Kind, gentle, sweet, docile and loyal. Sub-Aortic Stenosis, canine hip dysplasia, elbow dysplasia, gastric torsion, common eye problems, Von Willebrand’s Disease and epilepsy. Affectionately known as Newfie, this breed is big, cuddly, and they get along great with children, other animals, and other people. Despite their size, they can do well in smaller spaces since they are conscious of furniture but they will need to get outside for some daily exercise. Newfoundlands are great at obedience and water trials, and love going on adventures with their families. When looking at Newfoundland pictures you will notice that they are a massive dog with a large, broad head. They have a wide muzzle that is short and square. They have a unique double coat. The outer coat is flat, oily, and slightly wavy. This is to repel the water and keep them warm and comfortable even in the icy waters. The under coat is thick and also oily. This is to stop any water that got through the outer coat and to help them stay warm. Daily brushing of this thick coat with a hard brush is necessary. They shed heavily twice a year in the spring and in the fall. Avoid bathing unless absolutely necessary, since this will shed the oils that protect them. You may dry shampoo occasionally. What Foods to Feed a Newfoundland? Newfoundlands require higher amounts of taurine than most other dog breeds. This amino acid is required to maintain a healthy cardiovascular system and prevent heart disease. A diet rich with this nutrient is thus important. It can be found in meats like chicken or beef. In addition to taurine, Newfoundlands should also be fed a diet rich in calcium, phosphorus, iodine, omega 3 fatty acids and arginine. These minerals can be found in fish, so owners should look for premium dog food brands that have fish as one of the main ingredients. Aside from healthy proteins, a Newfie’s food should also contain a good supply of fruits and vegetables for a complete diet. How much to feed a Newfoundland Dog? Owners should always establish a feeding routine with their dogs and try to stick to it so they know their dogs are always getting proper nutrition. As a large breed dog, Newfoundlands can be fed twice a day (once in the morning and once in the evening) and have healthy snacks throughout the day. Dogs should always have a bowl of clean, fresh water available at home. When deciding how much to feed a dog, owners should always start by following the instructions on their dog’s food label. Since Newfies are such a hefty breed, owners will need to feed them about 3 - 5 cups of dry dog food per day. Newfoundland puppies require a lot more food and calories while they are growing into the giant dogs they will become, but only eat about as much as a Labrador when they are fully grown. They are happy to lie around the house, but should be given regular exercise. Meet my Biggest, Bestest Friend! Sub-Aortic Stenosis occurs when there is a narrowing in the space underneath the aortic valve that can restrict or block blood flow through the heart. This illness can be moderate, needing no treatment, to severe, needing medication or surgery. Hip and elbow dysplasia are common genetic diseases in dogs where the ball and socket joint of the hip or elbow is malformed, leading to degeneration of those joints. Symptoms include difficulty moving and reluctance to run, jump, or take stairs. Owners can help avoid these problems by feeding their dogs food that contains chondroitin and glucosamine for better joint health. Gastric torsion or bloat is a problem that occurs when a dog’s stomach dilates and then twists, causing issues like damage to the cardiovascular system and decreased absorption of nutrients in the blood stream. 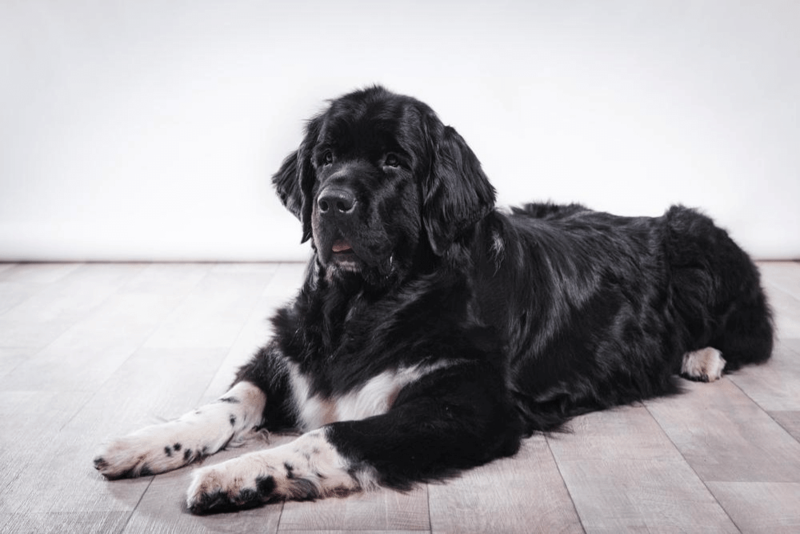 Gastric torsion is more common in large dogs like Newfies, but owners can try to avoid it by not overfeeding or exercising their dogs them too soon after eating. 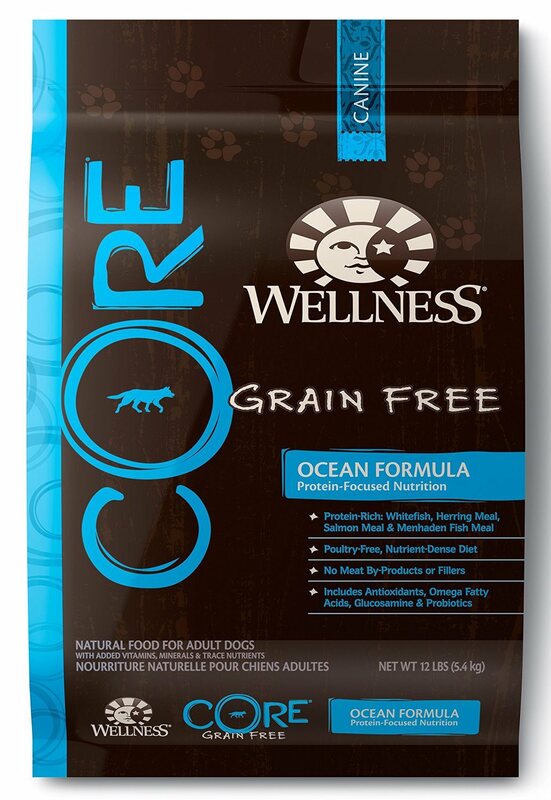 Wellness CORE Natural Grain Free: Ocean Formula is a top premium dog food choice for Newfoundland owners. This grain free option is great for dogs with sensitivities and allergies, and has omega fatty acids for healthy skin and coat. Whitefish, herring, and salmon are the main sources of protein which gives this formula the vitamins and minerals needed for a healthy, happy dog. Newfies do very well on Wellness CORE - with huge improvements in allergies, digestion, skin, and coat. Pups also have a burst in energy levels from this kibble and tend to eat less of it because there aren’t fillers and by-products in this brand compared to other popular dog food brands. Ultimately, this is an excellent choice of food for your Newfoundland dog. Feeding your Newfoundland dog with Natural Balance’s Limited Ingredient Diet is a great way to ensure that he is getting all the right nutrients he needs to lead a healthy, active life. Natural Balance selects healthy protein and carbs to give dogs energy, like salmon and sweet potato. This recipe is also a great source of Omega 3 and 6 fatty acids which are good for skin, coat, brain, and organs. Satisfied dog owners say that after switching their dogs to Natural Balance L.I.D. their dogs showed improvements in their allergy symptoms, skin conditions, and digestive problems. 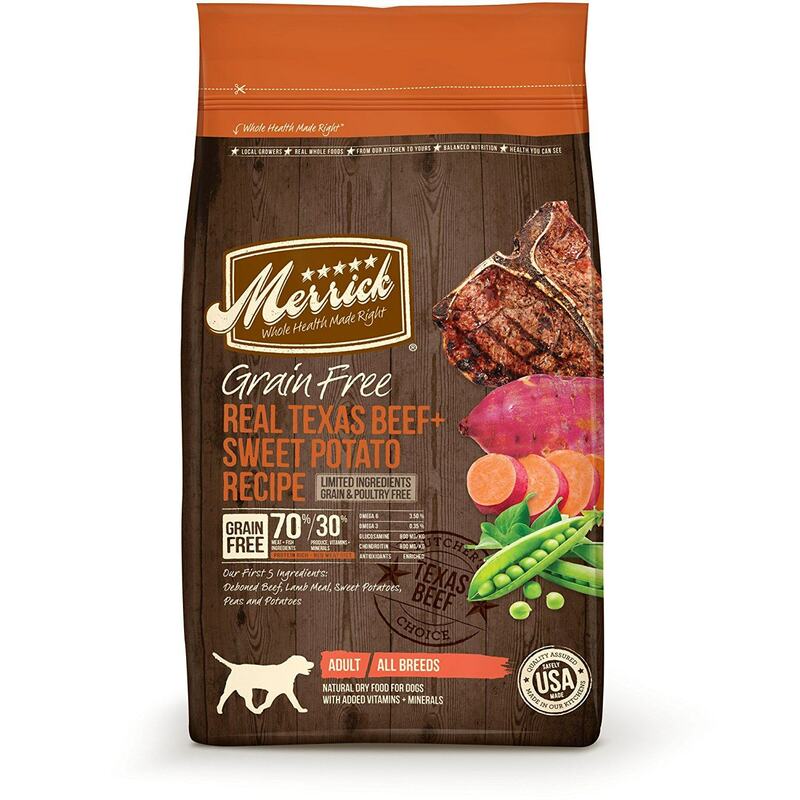 Some owners have also noticed that their picky dogs are much happier at meal time after switching to this blend. 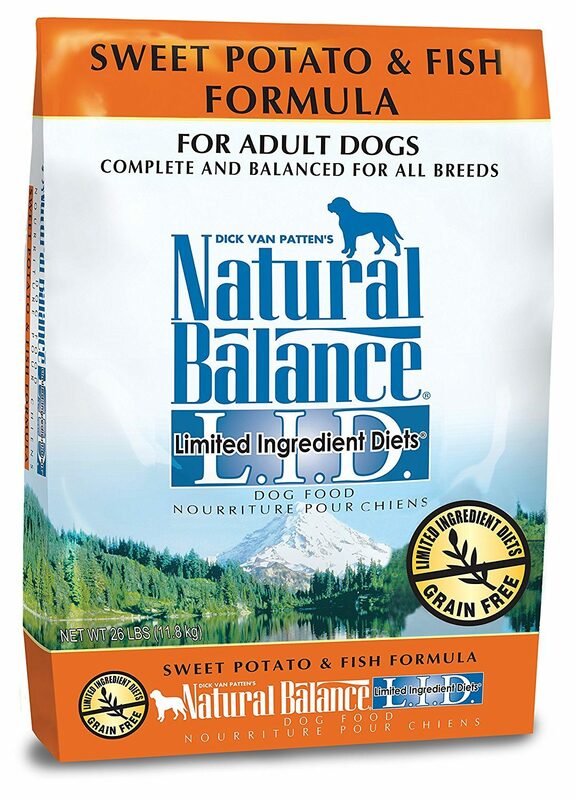 Overall, Natural Balance is a popular food brand which is well trusted and used by many dog owners, with this particular blend scoring very high with other pet parents and our own two pups. We're sure your big furry pal will devour this recipe.